. إن الخدمات التي يقدمها Tanoa Skylodge تضمن للنزلاء إقامة مريحة. يمكن الاستمتاع بمجموعة من الخدمات على أعلى المستويات في الفندق كمثل أمن على مدار 24 ساعة, متجر, خدمة التنظيف يوميًا, مدفأة, متجر هدايا/تذكارات. ادخل إلى واحدة من الغرف 42 وتخلص من عناء نهار طويل بمساعدة مجموعة كبيرة من الخدمات كمثل تلفزيون بشاشة مسطحة, مكيف هواء, مكتب, ساعة منبه, تليفون الموجودة في بعض الغرف. يمكنك الاستمتاع بالأجواء المريحة التي تقدمها تنس الريشة, السهام المريشة, حمام سباحة خارجي, تدليك, ملعب للأطفال طوال النهار. مهما كانت أسبابك لزيارة المدينة، فإن Tanoa Skylodge هو الخيار الأفضل لإقامة مثيرة وممتعة. Stayed for 4 days here easy shuttle from airport includes breakfast very average same thing pretty much each day so have to order eggs and pay extra each day to fill you up. Make sure if going anywhere use a taxi with a metre so much cheaper hotel taxi charged us $30fjd to denarau but with metre $13 fjd that way you won't get ripped off. Food is average at hotel food outside is much better and local food cheap as well as drinks and alcohol and fill up little fridge in room. Also has a washing machine and dryer but can only be used one at a time so got to call and see when it's available. But overall you get what you paid for. When we arrived they did not have any rooms left that we paid for. First night we stayed in a basic room but they did move us on the next day to the room we booked. We were ok with that. Staff was friendly and helpful. The worst thing about the trip came after we got back to NZ and realized they charged our credit card the amount we already paid for through agoda. I wrote emails to the hotel regarding the double charging issue but i never got a reply. In the end i was only able to get the money back through my bank. Check you credit card after you stayed to see that they did not charge you again. 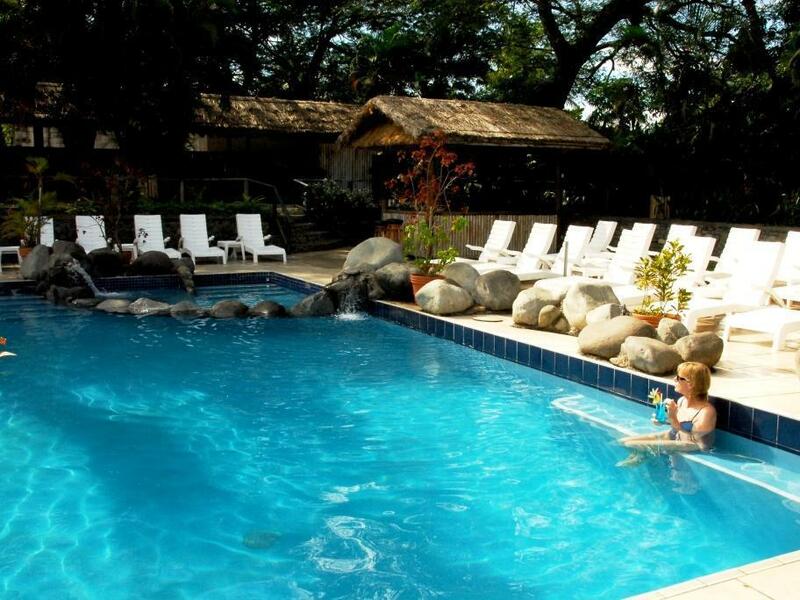 Bula , Thank you very much for taking your time to write this review. Our sincere apologies for the defects in our services. Please feel free to visit us again and we will provide you with much improve services. Kind Regards, Raj Singh. Location is close to the airport but major road works are happening on Queens Highway so it was very noisy and also caused lots of dust. The room was dirty and is in need of a major make-over as the resort actually has the potential of being great, with lots of 'tender loving care'. There was no remote in the room for the TV and the staff really couldn't have cared less about me as a guest, except for the driver of the complimentary airport transfer who was polite, friendly and helpful. One other groundsman was very happy to help me with my luggage to reception on departure, as I was struggling. Until this hotel is up-dated I would advise people to search for other accommodation as there are so many places to stay in Nadi. I stayed with my partner at Tanoa Skylodge just as a bridge between my trips from Nadi to the Yasawas, and then again, from Nadi to Brisbane. The hotel is what a 3 star hotel is expected to be. It has a nice swimming pool, really good food at the restaurant, a nice social space. Free transfer to/from the airport are a great plus. Internet is fast, but not totally reliable, prices vary from very low to very high, depending on which service / item you buy. When booking our first night I forgot to point out I wanted a double bed, so I got two single beds in a big, very comfortable room. For the second night I asked for the double bed, and this time we stayed in a tiny little room, for 4$ less. Not worth it. 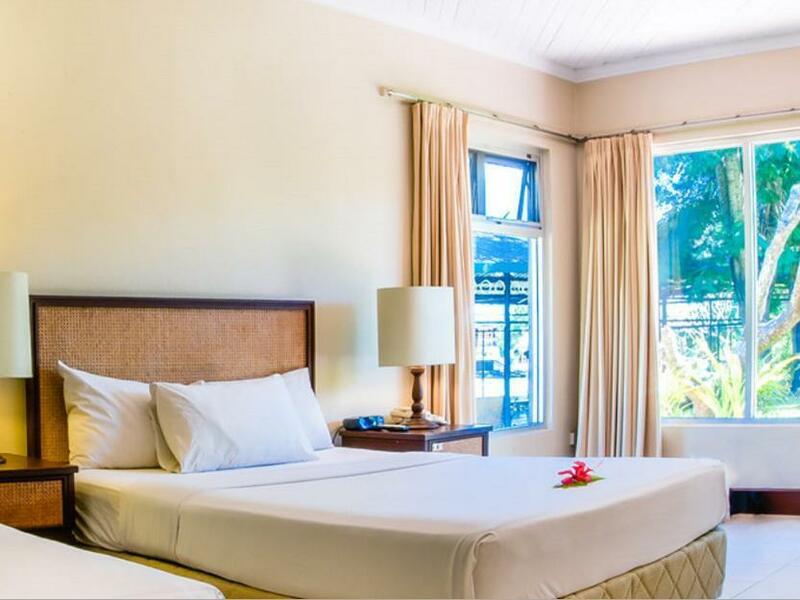 Overall, it's a great transitional stay, for when arriving/leaving Nadi. We had some issues on the first night and staff were very fast and accommodating in switching rooms. The rooms are simple but good for an overnight stay. The bus runs from outside the door which is handy. The airport shuttle runs on demand for arriving flights. Great budget option that is close to the airport. The staff is great and there is a shuttle that leaves regularly that goes to the airport. If you need a low cost budget option by the airport then this is the place. enjoyed the stay had the basic ammenties for our requirements. met our needs. child safe. friendly and helpful staff. restuarant cooked tasty food. bar was humming and band was awesome, fabulous music for everyones taste. Been here before in January so when returned to Fiji this was our first choice and the service was the same, will choose this again. We stayed overnight on transit to Sydney from Suva. Agoda and Tanoa Skylodge were great. I initially booked on the wrong date. It didn't take long to amend the booking date at all plus they didn't charge extra for the change. I will use Agoda and Tanoa Skylodge again. This hotel is a convenient hotel to the airport. The staff was fine and we enjoyed our short time there. It was only a short stop for us so we dont have much else to say, but are happy to have stayed there and the people were all nice to us. Once we book online and it's confirm they don't even check if it is paid or not. Receptionist is asking for the money again I told her it's already paid through card next day check out time it was different receptionist she's asking for the money again saying it's not paid..
It’s one of the horrible experiences I ever had. I had to change rooms three times. There are mice, cockroaches in the rooms and in the dining areas. Even during checkout didn’t get my receipt back. Excuse was the printer is not working. Told me will email to me. Never arrived till to date. Rip off. Even the staff are not that friendly and helpful. I opted and booked a room with 2 double beds on Agoda App but was receipted a standard 1 double bed and only learnt of the change upon check in. I dont know whether its Tanoa's fault or the options on Agoda was just too pathetic. Didn’t get what I paid for and hotel staff blamed Agoda. Bula, Thank you very much for taking your time to write this review . Our sincere apologies for the defects in our services . please feel free to visit us again and we will definitely look after you . Kind Regards, Raj Singh. Breakfast poor, leakage in bath, door locked when you want enter don’t open. Linen Towels missing have to call to replace. Close to the airport and near to a nice coffee shop/restaurant.